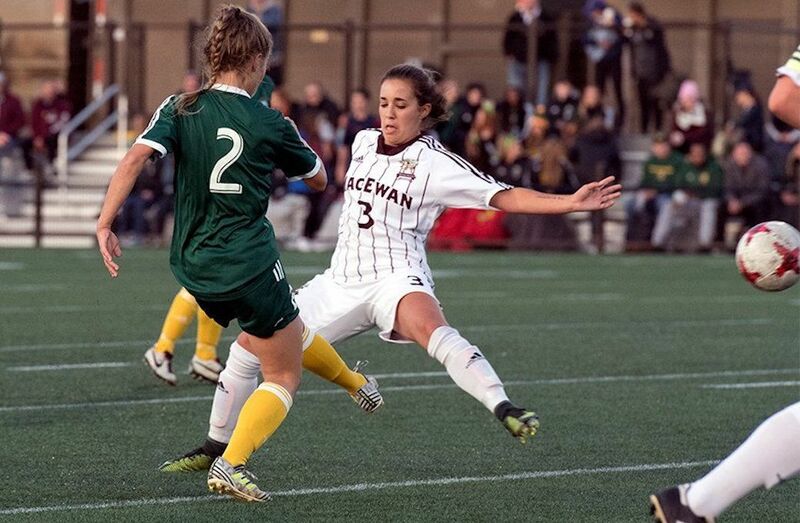 Brittany Costa, seen battling against Alberta's #2 Karissa McNutt, scored the winning goal for MacEwan in extra time on Friday night (Credit Chris Piggott). Welcome to Monday Morning Quarterback, a weekly look at all the best U SPORTS stories from the weekend. Warriors roar back to down Ravens, stay unbeaten. The Waterloo Warriors are one of the most remarkable comeback stories out there. Since relaunching their football program in 2011, the Warriors had a 4-44 record prior to this season, include three 0-8 campaigns. Things have gone very differently this year, though, with Waterloo beating Windsor, York, and Toronto to start 3-0. And while there were questions about how they’d do against a stronger Carleton team (the Warriors’ previous opponents are a combined 1-10 so far, while the Ravens went 6-2 last year and started this season 1-2, but with losses to nationally-ranked McMaster and Laurier), Waterloo answered them Saturday, coming up with an impressive 45-43 win to improve to 4-0. What's perhaps even more remarkable is how the Warriors pulled this off. They were missing platoon quarterback Tre Ford and veteran fullback Mitch Kernick, and they trailed 30-10 at the half. But they roared back in the second half. Following three punts to start the third quarter, fourth-year quarterback Lucas McConnell (who finished with 29 completions on 43 attempts for 477 yards and three touchdowns, plus five carries for 34 yards and a touchdown) orchestrated a great drive that he capped off with an eight-yard touchdown scramble on third and goal. Waterloo then scored on their next four drives while holding the Ravens to one touchdown, taking a 38-37 lead in the process. While this went down to the wire, the Warriors’ defense came through in the end, with defensive back Lautaro Frecha sacking Carleton quarterback Michael Arruda on a potentially game-tying two-point conversion attempt with 12 seconds left. That gave Waterloo the 45-43 win, and improved head coach Chris Bertoia’s Warriors to 4-0 on the season, a huge turnaround from the 0-8 marks they posted in his first two years at the helm. And it sets up a tremendous Battle of Waterloo matchup against cross-town rivals Laurier (3-0, ranked No.5 last week) this coming Saturday. You can check out all the football results here. On the season, Costa has three goals and an assist. She’s been key to the success of the Griffins, who improved to 4-0 Sunday with a 1-0 win over Mount Royal. Their next game is Friday against the 1-2-1 UFV Cascades. The game had plenty of special touches, too; it was part of Brock’s homecoming festivities, involved a pre-game tailgate party, and was a celebration of 50 years of Badgers’ hockey, with the team wearing throwback jerseys and many alumni of the first team in attendance. But on the ice, Guelph came out with a 5-3 win, preventing Brock from extending their Steel Blade Classic streak to seven titles. (The Steel Blade Trophy, donated by the Werner family, is an 1803 pattern non-commissioned officer's "hanger,” a sword carried by sergeants of the Upper Canada Artillery Units and Royal Artillery during the War of 1812. It’s inscribed with the names of each year’s champion.) The Badgers will face the Gryphons again in Guelph Oct. 11 to open the regular season. 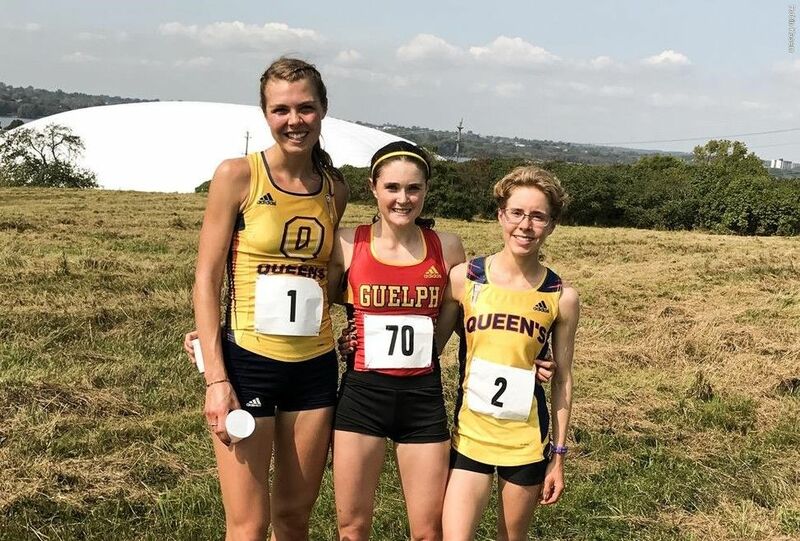 Queen’s Gaels athlete Claire Sumner is one of the biggest names in U SPORTS cross country, winning the national championship race last year and earning a nomination for the BLG Award as U SPORTS Female Athlete of the year. The U SPORTS cross country season kicked into high gear this weekend with the Cougar Trot in Regina, the Thompson Rivers Invitational in Kamloops, B.C. the McGill Open in Montreal, the UNB/St. 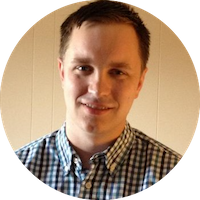 Thomas Invitational in Fredericton, and the Queen’s Invitational in Kingston, Ont. (full results for each event are available here), and Sumner once again impressed at the Queen’s event, finishing first overall with a time of 28:45.75 to defend her title from last year and lead the Gaels to a first-place finish. The next challenge for Sumner and the Queen’s team is this weekend’s Western Invitational. The No. 4 Montreal Carabins have started this season on fire, going 4-0-0 so far, and their 7-3 win over the Concordia Stingers Sunday was particularly impressive for the efforts of striker Lajoie-Gravelle. He had two goals and four assists for a six-point day. Lajoie-Gravelle is in his second year with the Carabins following stints with the USL’s FC Montreal, the Montreal Impact’s academy and PDL teams, and US Albi in France. Montreal’s next game is Sunday against the Laval Rouge et Or. 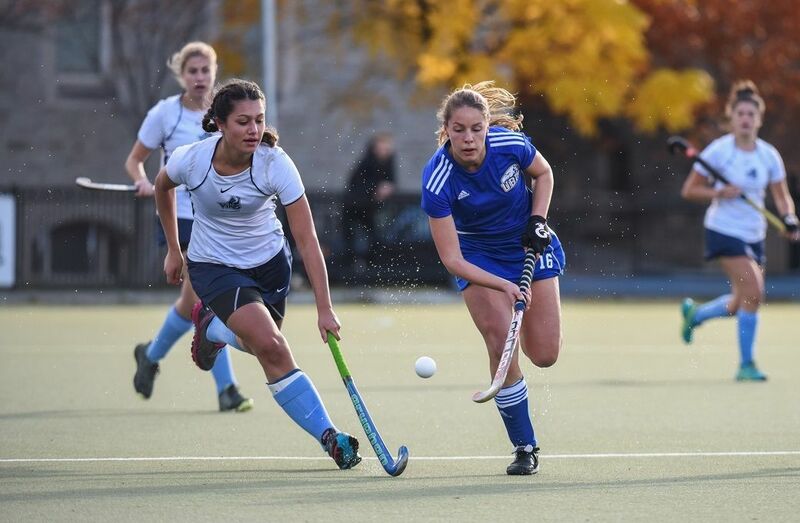 The U SPORTS field hockey season started with a bang Saturday. The UBC Thunderbirds, fresh off their record sixth straight national title, went on the road to face the rival Victoria Vikes, who had lost the last two championships to them in shootouts. Saturday’s game saw a hard-fought 1-1 draw, with UBC swarming early and recording a goal from fourth-year midfielder Emily Martin, but Victoria fighting back in the second half and tying it on a shot from first-year forward Leina Dueck. The teams faced off again Sunday, with goals from Abigale MacLellan, Sarah Keglowitsch and Meghan Hayden giving UBC a 3-0 win. The Thunderbirds-Vikes rivalry looks to continue this year, and the season results will be even more important than usual; a format change means only one team will come out of Canada West, with the conference champion playing the OUA champion in a best-of-three series for the national title. Both teams face the Calgary Dinos next, with UBC playing them this weekend and Victoria facing them the following weekend. Atlantic University Sport is a tough rugby conference to play in thanks to the No. 1. St. Francis Xavier X-Women, who won every game last year en route to their fifth national championship and have started this season with 105-0 and 90-0 wins over the Saint Mary’s Huskies and the UPEI Panthers. But if there’s an in-conference challenge for StFX, it might be the No. 10 Axewomen, who opened the season with a 58-12 win over UPEI last week, posted a 51-19 win over the Dalhousie Tigers in an exhibition game Saturday, and beat Saint Mary’s 77-7 Sunday. A player to watch for Acadia this season is second-year lock Harley Tucker, who earned a second-team All-Canadian nod as a rookie last year. She and the Axewomen will take on StFX on the road Saturday.